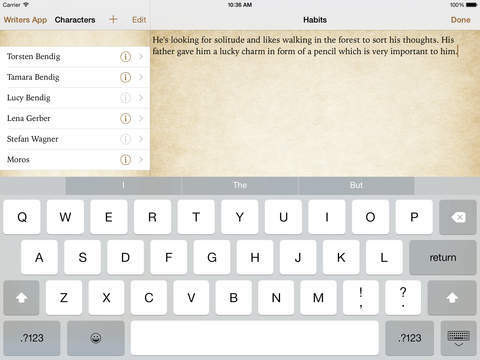 Outline and plan your story - easily with Writers App! Writers App is the ultimate notepad for writers. It offers you an adjusted user interface to easily put all your thoughts and ideas about your story into one single place. Writers App gives you complete flexibility about the attributes and information you want to enter for all the parts of your story, regardless of whether you’re editing a chapter, character, place or item. I like to call Writers App „Writers little helper“. It is the perfect supplement in your creative writing process which helps you to outline your thoughts and ideas and to plan the story you work on; nothing more, nothing less. 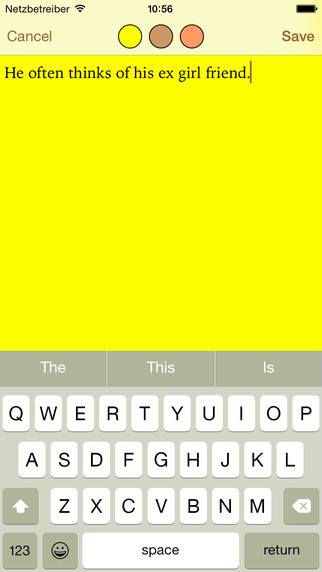 Writers App is developed for passionate writers to help and support them in their daily work. 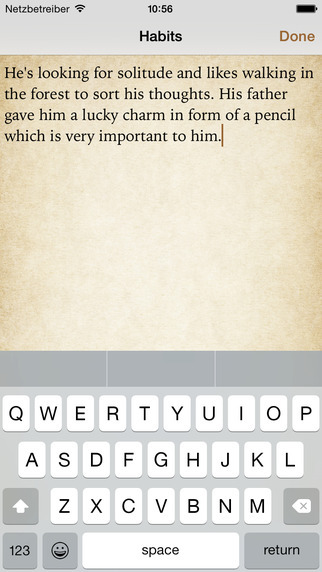 ***** Best App - This is the writers app I use all the time. ***** Love this app! It makes putting my thoughts down so much easier! ***** This app is really good for planning out your story. ***** Thanks for making a great app! ***** I could not have my phone without it.